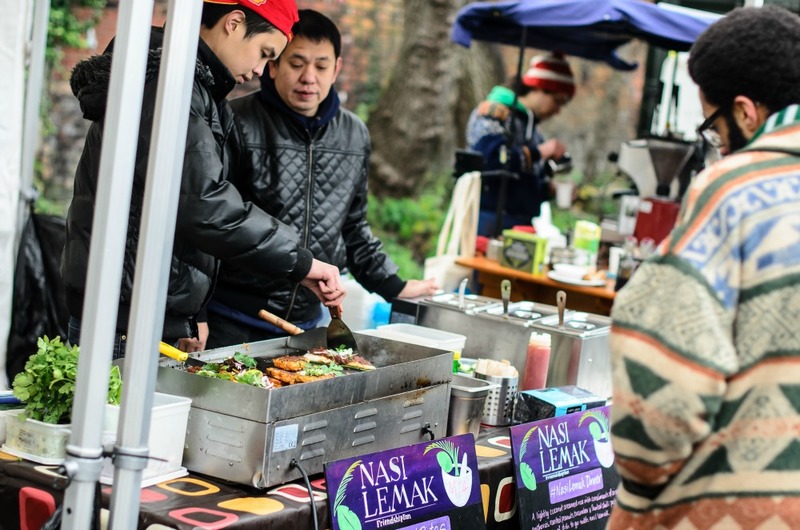 Just in time for some Christmas shopping and scoffing, our University of Manchester Market returns on Tuesday 8th December 2015, 11.30am to 2.30pm. HURRAY! We’re back at the University of Manchester campus for a pre-Christmas food and drink special! We’ve got a brand new location on the wide, tree-lined Bridgeford Street and a whole heap of our very best street food, sweet treats and produce traders just waiting to serve you a delicious lunch or help you find the perfect prezzie for that foodie friend. So, if you’re on campus, in town or fancy a jaunt to say hi to some of your favourite Levy traders and grab an AMAZING lunch, come along – we’ll be delighted to see you. It’s the perfect way to brighten up your Tuesday lunchtime and get some training in ready for Christmas noshing! Where to find us: look out for our foodie stalls on Bridgeford Street, M15 6FH, just off Oxford Road and next to the Manchester Museum. For updates on the event and sneak peeks of the bee-yootiful dishes on offer, join our Facebook event page here.